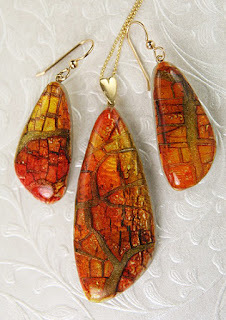 Here are the other sets of the new crackle technique I said I'd post. 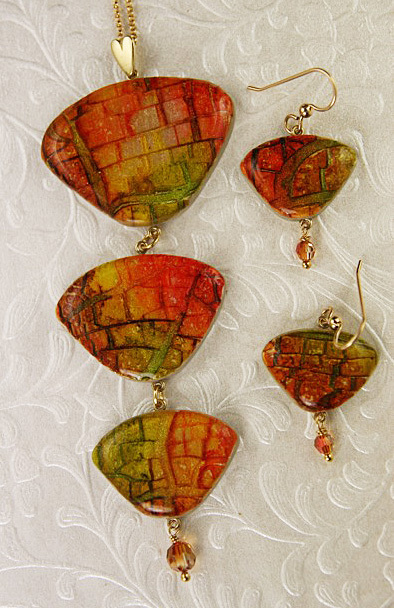 These sets are on white with alcohol inks in golden-red, yellow and green shades. These pieces have a really lovely glow. 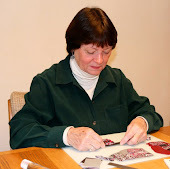 I'll be experimenting more with the DecoArt Perfect Crackle. It really makes interesting patterns in the clay.